AQUATHIN® CORP. was founded in March of 1980 and formulated from a single concept that we are going to produce the most effective water purification system available (EPA EST. NO. 52531-FL-01). Since the beginning AQUATHIN® had acquired a patent for its unique treatment system which utilizes REVERSE OSMOSIS PLUS DEIONIZATION. And over Aquathin's 35+ Years Pure Excellence, we have earned seven patents. At AQUATHIN®, we have listened to the important feedback from our dealers and from their input, developed the finest water filtration, conditioning and treatment systems for residential, commercial and laboratory applications. All AQUATHIN® systems encompass sophisticated design and technique for the highest efficiency available. Maintenance is minimal allowing us to give you the finest warranty in the industry . . . and we live up to it. Your AQUATHIN® Water Treatment Professional has been trained and educated with the technical support afforded at AQUATHIN® UNIVERSITY. In addition to owning a host of patents, proprietary products and many years of success, Aquathin is ISO Certified...the premier international certification of quality. ENJOY ALEX'S HEARTFELT COMMENTS OF GRATITUDE AND FRIENDSHIP AS HE AND HIS FINE TEAM ENTER "8 YEARS PURE EXCELLENCE". Thank you for Happy Anniversary Acknowledgement ! It was very productive and excited 8 Years of our work together. Many families now protected by Aquathin Technologies, many more will create that opportunity this year for they Families and Loved ones. Installing for them #1 UNIQUE Technology in Water Filtration Market. Thank you for allowing me to Make Difference in The World !!! Business anniversary is always a milestone to celebrate the achievements and opportunity to set new Goals. We are , at Aquathin of NJ, investing a lot of time and resorces to be educated on the Highest Level in Water Filtration Industry, so we can provide Outstanding Service and Education for all our customers. We are very exited to start the new Platform this year that will allowed us to reach More New Customers with the Clear Massage The UNIQUE AQUATHIN Water Filtration Technology is The Number ONE in the World !!! Looking forward to another year of our Work and Friendship ! by Nathan Harvey and he did a great job. He said mine was his first installation, but you would never know it. Hes also a very polite young man. Hopefully he will be a good representative for Aquathin for many years. It has been my privilege to be an Aquathin customer for close to 25 years. Over time, my children, their children, as well as some friends have all become independently Aquathin pure water drinkers. For a water purifier to has some value, it is far from enough to have water come out when we turn the faucet. As a medical doctor, I have learned how tricky it is to know what is in a glass of water. I mean ALL there is in that glass. The sad truth is there is about no way to know, as far as chemistry only allows one to find what he is looking for. And what one should be looking for goes beyond, far beyond any imagination. So there is no way to know what kind of water one is drinking. That is, unless this water is really pure. Physics comes to the rescue of chemistry's limitations when and only if the water is pure. In that case, water has zero conductivity to electricity. But as soon as any chemical is dissolved, hiding in that water, conductivity rises. Which chemical is in solution does not matter. It can be an innocuous or a poison contaminant, it can be many of them, mixed together, one will never know. So there is only one safety measure to protect against the myriad of less than safe contaminants in solution in our waters, bottled or not: the water has to be non-conductive to electricity. That can be measured, the unit for this value is the Siemens (yes that brand name everybody knows). Now Aquathin filters are the only filters I know, that provide you with a conductivity of zero micro-Siemens, for many, many years. Medicine is making progress, in leaps and bounds. However it seems never fast enough to contain the rise of dreadful diseases in the population. Maybe, just maybe, the accumulated contaminants in our drinking water over the course of a lifetime could be part of the problem. To be sure, we would need double blind statistical studies over the course of generations, which sounds like impossible, so does not interest anyone. Then it has to be understood that statistics only helps he who does not understand. There are so many things I do not understand, that when I find one that seems to make sense to me, I make sure not to forget about it. So until further notice, I drink and cook, we drink and cook with Aquathin. CARLOS CARBALLO, LONGTIME FRIEND AND PRESIDENT HIDROFILTRACION / AQUATHIN COSTA RICA -- LARGE LEADING CHEMICAL COMPANY'S STELLAR REVIEW & CELEBRATING 20 YEARS. ONE OF CENTRAL AND SOUTH AMERICA'S MOST PRESTIGUOUS CHEMICAL COMPANIES IS A 14 YEAR OLD CUSTOMER OF HIDROFILTRACION / AQUATHIN COSTA RICA, RECENTLY PERFORMED THEIR ANNUAL SUPPLIER EVALUATION FOR THEIR ISO-9001 ACCREDITATION MAINTENANCE PROTOCOL. THE COMPANY ( FOR COMPETITIVE REASONS, THIS CHEMICAL COMPANY PROHIBITS NAMING COMPANY AND EQUIPMENT FOR CONFIDENTIALITY ), RATED HIDROFILTRACION / AQUATHIN COSTA RICA THE HIGHEST 5 STAR RATING FOR BOTH SERVICE AND PRODUCTS. ENJOY CARLOS'S HEARTFELT COMMENTS OF GRATITUDE AND FRIENDSHIP AS HE AND HIS FINE TEAM ENTER "20 YEARS PURE EXCELLENCE". Hola Alfred quería agradecer por la confianza y respaldo de ustedes durante estos 20 años al frente de Aquathin Costa Rica, recuerdo la entrevista el día miércoles 28 de octubre del 1998 con Don Erick Moya y Esteban looser donde me comentaron el proyecto de los sistemas de agua purificada y que si estaba interesado en ser el técnico para la instalacion. hoy 20 años después puedo decir que he podido aprender algo y que esto no se termina todos los días son diferentes al igual que el agua de verdad mi agradecimiento a todos ustedes, su esposa e hijos. [ e-translator: Hello Alfred, I wanted to thank you for the trust and support of you during these 20 years at the helm of Aquathin Costa Rica, I remember the interview on Wednesday, October 28, 1998 with Don Erick Moya and Esteban Looser, where they told me about the water systems project Purified and that if I was interested in being the technician for the installation. today 20 years later I can say that I could learn something and that this does not end every day they are different like the real water my thanks to all of you, your wife and sons. FROM BEVERLY E. OF NEW HAMPSHIRE -- 13 YEAR OLD PLATINUM90-2 FOR BOTH ARSENIC 3 AND 5 REMOVAL. INSTALLED BY MILLER WATER RESEARCH, AUTHORIZED AQUATHIN DEALER. Although we live in the virtually pristine environment of a small rural NH town and have a deeply drilled well, we are tremendously grateful for our Aquathin water filtration system that purifies our drinking water. Back in 2003, we learned that the available water filtration systems in our area were only capable of removing one of the two forms of arsenic within NH's ground water resulting from its granite bedrock. Finding Aquathin was a blessing. Simply having the filters changed every 2 years has given us as all the truly pure, fresh tasting drinking water we need year round right from its separate faucet in our kitchen sink. What a gift! OWNER OF 8 YEAR OLD AQUALITE FROM THE WATER STORE, AUTHORIZED AQUATHIN DEALER IN ANNAPOLIS, MD. Trying to reach people who sold me Aquathin some years ago. I am from Annapolis, MD, they were located in Cape Saint Claire, MD but moved. That is when I bought my Aquathin for which my wife and I are very thankful. ROBERT M., - ANNAPOLIS, MD. Last week we serviced our family's Aqualite. Here is the pic of the AQUASHIELD XF-HRO Membrane. The membrane is 6 years old and looks almost new. TDS direct from the XF-HRO reads 8 ppm on source water of 190 ppm. THAT IS A TESTIMONY TO THE QUALITY OF AQUATHIN'S MEMBRANE DESIGN, AQUALITE'S PATENT EARNED IQ-EMP AUTOFLUSH & HARDWARE DESIGN. NO ONE DOES IT BETTER !!! And yes, our Aqualite is one of the first prototypes from mid 1990's !!! Just thanks doesnt seem adequate. For the first time in 5 years my Aquathin unit is back and finally operating as it was intended. I am so grateful! Youri is WONDERFUL!! Are you old enough to remember the Texaco commercials? Hes the man with the star. lol Im not kidding. Have you ever watched him in action? He is an amazing advertisement for your company. Thanks so very much. Have a spectacular weekend! Just wanted to let you know that my RO water is currently registering at a lovely 0.01. I know Cheryl already told you that hers is as well. I wanted to thank you both for honoring the promise made last year. Also, Alfie please note that Youri did a great job, took his time and explained every thing that was done. I could probably get a job installing these things just from spending the couple of hours watching him work on Friday! Thank you again and wish you both a happy autumn. We have received another letter from the Minister of Maputo Fishing Port showing our commitement and they are please to say that our company honnor to supply and install AQUATHIN equipments at the harbor of Maputo, also realise that the equipment work wonderfull. AQUATHIN equipment, under the signed contract. Agua Pura de Moçambique, Lda. CONSTRUCTION COMPANY AND A HOME FOR ORPHAN BOYS. We received from our client SOARES DA COSTA construction company, a letter of recomendation which they say that AQUATHIN and Maintenance Team is to be considered with value. We install several Megachar, SodiaLite Soft & Clean, RO 600+24K, chlorine injection, Syncromatic units also, installed at contruction sites and even containerized installations with our tecnical team. Another one for the wall of fame, with the recomendation letter from this client "CASA DO GAIATO". Im not sure where to start other then I need my Aquathin reverse osmosis machine back as soon as possible. We had our Aqualite installed in 2008 when we were renovating our kitchen. Someone had recommended it to us and it sounded like a good idea not that we had any experience with this before. I cannot imagine my life daily without it ! We have a separate line run for down in the basement where the cats have their food and water and they have the pure water in their bowl every day. We use it for the coffee pot for my decaffeinated iced tea for everything we cook with. Also we have it run to our refrigerator instead of just the regular tapwater, our ice is made with Aquathin water. My kids call me a water and ice snob because when I go out I dont like the taste of other waters and even what the ice does to restaurant drinks. In 10 years this is the first time we will be without it and I wish Id ask if we could get a loaner one its going to be difficult without it. Hoping for a speedy return,thanks from a very satisfied customer. FROM MR. PRASANT C., OUTSIDE CORPUS CHRISTI, TX. LOVES HIS 4 YEAR OLD SYNCHROMATIC 60K AND SOFT & CLEAN 60K PRETREATING THE 1200+24K "TOTAL HOME" RO BECAUSE HIS WELL WATER IS 2200 MG/L TDSHARDNESS 80 GR/G !!! I cannot thank you enough for quick to reply. Your customer service is also a reflection of your product. My family and I are very happy with our system. FROM MRS. CECILIA HAMILTON, LONGTIME FRIEND OF 20+ YEARS, PROFESSIONAL MASTER ARTIST IN WATER COLORS, AND WIFE OF MICHAEL HAMILTON, AUTHORIZED AQUATHIN DEALER. CECILIA PURCHASED HER FIRST AQUATHIN 25 YEARS AGO FROM DR. JEAN MARIE DANZE IN BELGIUM. Mine is a tale of water and pigment. There is something awe-inspiring when water touches dry pigment. Fantastical shapes appears, what was hidden inside the imagination is now revealed and colors dance carried by water to full expression The first time I witnessed this miracle as a child, I was sold. My medium was going to be water-based! The choice of a pigment was no laughing matter. It had to be archivable, transparent or opaque and above all have a high grade of lightfastness. Only the best brands were candidates. But of course I always took water for granted: any water would do! That was till we lived in Thailand and China for several years. In Thailand pigments started to react strangely to the non potable tap water. There was a distinct lack of fluidity and a dulling of colors when they settled on paper. Instinctively, I started to use Aquathin water and what a difference it made, colors were reliable once more! Today we are blessed to live in an area where the water quality is still remarkable although highly mineralized and hence. there is always a pot of Aquathin water in the immediate vicinity of brush and paint. As you and Michael know, we receive many Letters of Satisfaction and phone calls. In fact I received a call yesterday from a gentleman who is so thrilled how Aquathin cleaned his multi-troubled well water over the years, he told me he thinks about me every time he takes a shower! I said I get that a lot. But your Colors For Water goes to my heart. I and Aquathin are deeply honoured and I will always cherish your prose. I look forward to sharing with our Team, Dealers and all our Customers around the world. CONGRATULATIONS TO ALEX SLIPETZ AND THE FINE TEAM OF AQUATHIN NEW JERSEY CELEBRATING THEIR 7TH YEAR -- PURE EXCELLENCE !!! Thank you for your enormous support and educational process that we are at Aquathin of New Jersey going true by interacting with you. Your mentorship is Priceless and Very Appreciated. It feels so good to make a difference in the people life. I am proud and privilege to represent Aquathin in my part of the World and looking forward for another exciting and productive year of work with you. I have had this unit for more than 12 years in everyday service and have enjoyed using it ever since I bought it. We had the Aquathin unit installed in our home in South Africa and would like to install the same in London, do you have a British supplier? Or know of a British supplier I can get in touch with? Your reply will be most appreciated. I live in France, Normandy and I want becoming an distributor for France and Europe if is it possible. I have an under sink Aquathin model with booster pump and delivery pump it is a great pleasure every day. We had one of your systems installed in our home about a year agoand we enjoy it very much. We've had an Aquathin Platinum 90 Reverse Osmosis Deionization water purification system since 1994. We purchased it when we were stationed at Altus AFB, OK and have taken it with us throughout the remainder of my Air Force career. In other words, we've installed it on 4 separate occasions (Altus, OK, Bellville, IL, McGuire AFB, NJ, and now in Williamsburg, VA. With the Platinum 90 we also purchased the tackle box style RODI purifier to use when we were on the road. And of course we LOVE both of them. Before moving from NJ to VA in 2004, we purchased a water softener, an Aquathin Soft & Clean Model ASC40K/F plus a MEGACHAR whole house filtration system and brought it with us to install in our new home. It was installed by a local plumber since there were NO Aquathin dealers in the area. That brings me to all the support we've received from the Aquathin Team (Alfie and his Gang). It's an absolute pleasure working with everyone from Aquathin. It really makes you feel special when you receive an email response back from the President and CEO on any issue or concern with any of our systems. At one time we sent our Platinum 90 back to Aquathin at one time for them to check out, install new seals/filters, and it came back as good as new. At another time, we purchased the kit and instructions on how to replace the charcoal in the MEGACHAR and the resin for the softener! Everything worked out perfectly. And I know if I experienced any kind of problems or had any questions the Aquathin team would have no problems providing a solution. Again, my experience with the Aquathin Team has been nothing less than FANTASTIC!! We're thinking of moving to Ohio in the near future and, of course, plan to take our Platinum 90 with us. As for the softener, we'll have to work something out to purchase another because we couldn't be more pleased with our system. THANK YOU again Alfie for everything. I'm sure we'll be in touch. LONGTIME CALIFORNIA CUSTOMER WITH 26 YEAR OLD PLATINUM 90 AND SEVERAL AQUALITES IN HIS VACATION RESIDENCE. OurAquathinunit has started to do strange things. I am sure you could probably sell me a replacement part but after reliablyproviding pure water for 26 years to a kitchen, three bedrooms and a barwithin three stories;it is probably a good time to let itretire in peace. Please send mean Aquathin High Flow Aqualite as a replacement as soon as you can. It will be like the power is out in our house until we have the replacement installed. It sure would benice if other things webuy wouldwork well for 25 years. It seems like my cell phone is on its last legs as it nears its 2 year mark! Your product is great, thanks for the updated info. At least once a month someone asks me, Why do you only sell Aquathin water purification systems? What they are really asking is What makes Aquathin special?. The people that know me well know I appreciate quality. I use things until they literally fall apart. Then I fix them before I replace them. Ive got a pair of Johnson & Murphy dress shoes that have served me for 32 years. I drive a 2002 Jeep Wrangler with 264,920 miles under the hood. My Jeep replaced my 1994 Chevy S10 that carried me faithfully 317,000 miles. I still listen to vinyl on a Fischer stereo system that is 37 years old. When I build furniture, I use only real wood. In a disposable culture, Im a throwback. I believe in buying things that last. And quality lasts. Aquathin water purification systems are quality systems. I met Alfie Lipshultz, President and CEO of Aquathin, in 1998. When you hear Alfie talk, you dont just hear the passion in his voice about pure water, you feel it. Some people spend their life looking for their passion. Not Alfie. His passion is developing and building the best water purification systems in the world so people can drink the purest water possible. At the time we met, Alfie and the Lipshultz family had been designing, patenting, manufacturing and selling water systems around the world for 22 years. Today they manufacture over 70 systems. And from the simplest carbon icemaker filter to the most complex laboratory or hospital systems, quality and effectiveness are not only a priority, they are the priority. Aquathin uses high standards to manufacture their systems and they are just as particular when it comes to approving dealerships. Even today, you cant find Aquathin systems in big box stores. Every day there is a new story with a water contamination connection. It may be a chemical spill or a busted pipe. Scary reports about lead, nitrates, sewage, or pharmaceuticals in the water we trust to be safe to drink. Except its not. That sacred trust has been broken. But Aquathin understands the importance of trust. Alfie once told me Our customers depend on us to provide them the safest and cleanest water possible. Its a tremendous responsibility to hold that trust, but that is exactly what Aquathin does. As an Aquathin dealer in South Florida, we serviced some of the original RO/DI systems that were sold direct in 1980. I first became a dealer in 1998. Those systems were already 18 years old! 10 years later many were still producing the same quality of pure water as they did the day they were first installed. Ill never forget the service call in a home where the Aquathin system was 22 years old. The homeowner was grumbling about the cost to service the unit. I get it. I dont like to spend money unless it is necessary. But I asked him what else he owned in the house that was 22 years old and still going strong. His wife looked at him with a smile and then told me Only the Aquathin. We serviced that system for another 3 years. And then they replaced it with a new one. So why dont we sell other brands? Why do we only sell Aquathin water purification systems? The answer is simple. Aquathin systems work. They are dependable, and they are made to the highest quality standards. They are manufactured in the USA by a family that understands their reputation is on the line with every product that leaves the warehouse. I believe you deserve the purest water available. Aquathin agrees. No One Does It Better isnt a tagline. Its the truth. 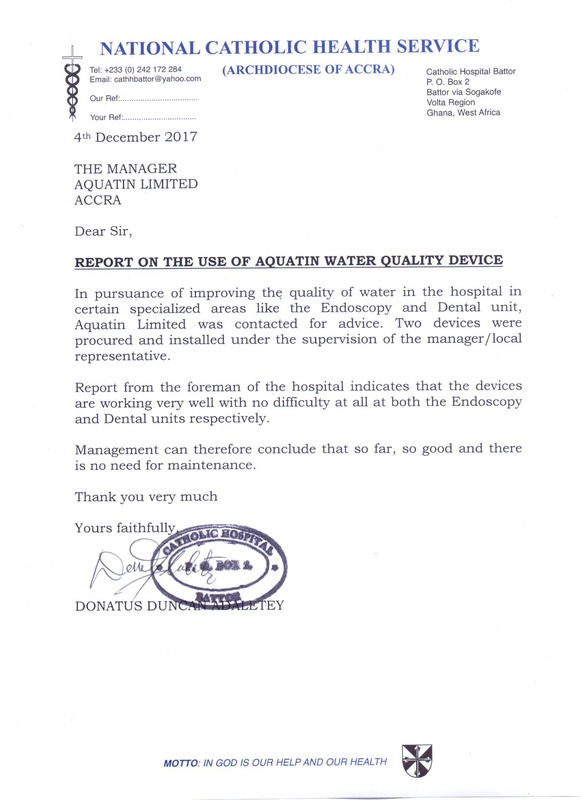 FROM NATIONAL CATHOLIC HEALTH SERVICE IN ACCRA, GHANA, ESTEEMED SATISFIED CUSTOMER OF SIMON BOKOR, PRESIDENT OF AQUATHIN GHANA, REGARDING TWO AQUATHIN MULTI-BARRIER AQUALITE RODI ULTRA PURE WATER SYSTEMS INSTALLED IN A LEADING HOSPITAL'S DENTAL AND ENDOSCOPY UNITS. Thank you for all the years of great service. Hi Alfie-this is Sherry, Cheryl and Greg Petersen's next door neighbor. Just wanted to let you know that even though we got off to a bit of a rough start with the RO water installation, everything has fallen into place. In fact, at first my husband wouldn't look at it. He's been drinking Poland Spring so long he thinks all other water is poisonous or something! After much ado I FINALLY got him to try it and guess what..... no more Poland Spring! In fact, when I got up this morning after my husband had gone to work, I went to brush my teeth and found no toothpaste. I know there was a full tube last night. I scramble to find a new tube and then come out to the kitchen to find not only the toothpaste, but his toothbrush also. Now he won't even brush his teeth with the regular water! Good job Alfie. Thanks for everything! I wanted to thank you for creating a very well designed system. After the initial investment, the unit has proven a reliable high quality product. Filter replacement are both reasonably priced and easy to self service. The unit remains maintenance free for the last 12 years, thus greatly outperforming my children of the same age. Interestingly, all the kids prefer Aquathin treated water over soda and other sweet drinks. I wholeheartedly agree with their taste. That is just it, there is no taste. I can imagine ground source water in an agricultural community being especially challenging to treat with all the nitrogen and other chemical seepage into the water table. Over in our neighboring community, Tri Cities, Washington, the tap water is not palatable. I would imagine the entire region of Eastern Washington would benefit from your system, if not already. Twelve years and going strong. Amazing. Alfi, be well and best wish on your future endeavors. You will read this Customer first bought an Aquathin "40" years agoand you will ask, "how could that be when Aquathin is celebrating its 37th Anniversary". The Answer: Dana purchased a prototype as we initiated field testing. Dana continued to service the prototype up till he purchased an Aqualite in 2004and now his 3rd Aquathinan Aqualite for his new condo. GOTTALUVIT !!! Thanks Alfie. I bought my first Aquathin from your Dad almost 40 years ago. The house I built in Jacaranda Lakes in 1978 was my first Aquathin unit. Dad had the liquor store on Federal Hwy. and then you opened your new business together. Wow, how time flies. Thanks Again Alfie. you know, we have the unit serviced once every year and I am frankly amazed that we have never had an issue with it. In fact, we were so pleased with it that when we decided to sell our house and buy a condo, we decided to leave the unit in the house as a selling point and buy a NEW Platinum unit for our condo. Thanks so much for lining up that instalation. It seems to work perfectly. We look forward to another 20 years of great service from this new unit! Your products are of the highest standard.You can be proud of what you bring to humanity. Clean pure water that keeps our human system in balance. After all we 75% water. Even from space planet earth looks blue, water. I just wanted to take a moment to thank you once again for the exceptional quality of your products and customer service. As you might recall, we first purchased our softening, conditioning and RODI system in the UK, and loved it so much that we shipped it across the Pond when we moved to the US five years ago! We're now about eleven years in, and having just switched out the resin last year at the ten year mark and put in a new set of filters, the system continues to run as well as it did the day we bought it. As with this latest interaction, it's wonderful to know that you guys are only ever a call away and are always willing to take the time to talk me through whatever question I might pose. And most important of all, it's so comforting to know the know the water our family drinks and bathes in is safe - I know it's no coincidence that our children seem to have healthier skin than many of their peers. Please enjoy the recent SIX LETTERS OF DELIGHT from these most impressive hospitals and companies. Capris Medica lists 53 hospitals that have multiple Aqualite-TXF > LDI ( 175 units ) in each servicing blood analyzing machines that require UPW (Ultra-Pure Water). Roche Laboraties citing 24 Aqualite-TXF > LDI. And the others all proudly stating how much and how long ( 10 - 16 years ) they have enjoyed the excellent service and reliability provided by Carlos and his Fine Team at Hidrofiltracion / Aquathin Costa Rica. It is rare to ever adequately relate to someone both the life-altering benefits of a product and ease of doing business with its owners. I've owned and used an Aquathin RO unit for more than 30 years. In addition, I've used an Aquathin RO unit in my Dental practice for decades. I have strongly recommended this product to my patients, friends and family. At Fiesta Acapulco we are happy and proud to say that, we use Aquathin product for our water treatment and filtration. We also use this product at our house. Troy and Peggy Sue Higginson did an awesome job by installing our system. These guys are very knowledgeable, professionals and smart, to do any custom job to meet your needs. The most honest people I ever known. I highly recommend them to all my friends. My American wife and I live in Portugal and have one of your excellent water filters, which are essential in this country. Just received the order. Awesome turn around! I see the shipping protection has also been upgraded, that is awesome as well! Less hassle, time saver and disappointment prevention for the dealer/customer getting his order in a timely fashion without damage delays! Your company, track record, patents, products, and mission statement are exemplary. We cannot express how grateful we are for our Aquathin each and every day! For many years (in fact more than 10) I am a happy owner of your KT 90 water purification system. 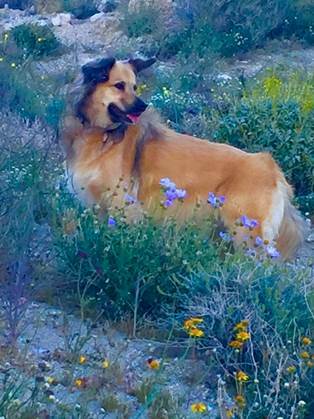 When I bought it we lived in East Bay area of Northern CA. We did have a decently clean water supply there but still it wasn't fit for a "facet drinking" quality that we used to living in Europe. Getting KT 90 has resolved all minor issues and since then we stopped to buy any drinking water in stores - sorry Perrier guys. We used that purified water for drinking, cooking, and even for our cars batteries :). I must note that it was absolutely obvious that our over all health as well as digestive tracts conditions have improved significantly. Seven years ago we moved to beautiful Pawleys Island, SC and immediately realized all benefits of having our small, practically portable but very effective purification system. SC water is, well, different. Now I am so thankful for the right decision back in time because KT 90 is what keeps our health from excess of chlorine at our local water source. I should also mention that all these years we had an excellent support from the manufacturer either by phone or by its very helpful site explaining all maintenance procedures (how to change filters and so on). All in all, me and my wife are very happy to be Aquathin customer! Thank you very much team. Merry Christmas and successful and healthy 2017 to you and yours. The City of Columbiana WWTP (Waste Water Treatment Plant) had the Aquathin High Flow Platinum 90 Patented Reverse Osmosis / Deionization Purification System installed in April of 2000. The quality of water that the system produces is well beyond that required in the municipal wastewater laboratory industry. John Fimognari, our SDG service representative (Authorized Aquathin Dealer) provides annual maintenance services on the system and has always been prompt, informed, and diligent in achieving the best quality of water for our laboratory. I have been very pleased with the system and the service provided by SDG Wellness and John. Thanks to everyone for continued great service! You guys are great! Thank you for your outstanding customer service. I have an Aquathin Water System in our home. It has been working great for at least 10 years and we are very pleased with this system. Thank you. The filter (Pearl 30) is great !!!!! Without that system I dont feel safe drinking the cistern water. It is such a relief to know that you make a great quality product and have great people associated with you to distribute it. Since installing the Aquathins reverse osmosis deionization water purifier systems 100+24K and 600+24K in our two campuses of Ho Chi Minh City, the systems have been consistently producing good quality, bacteria-free water. We aim to provide the best educational program to our students as well as the best health services in which there are healthy food and healthy drinking water. I trust Aquathins water purifier products in helping us do so. Congratulations to everyone at Aquathin as the company is presented with the Emerald Award for improved environmental practices. The award recognizes and honors the hard work of every person in Aquathin and is a tribute to your organizations environmental accomplishments. I congratulate your entire team for their continued efforts to protect and preserve our precious natural recources. Best systems and best company. On behalf of the State of Florida, congratulations to the Aquathin Corporation on 26 years of success in manufacturing and exporting water purification and filtration products. Aquathin is a leader in the global marketplace and fostering Floridas international development efforts. As a recipient of the Presidential E-Award, the Miami Herald Pacetter award, and ISO 9001 certification, your contributor to business excellence has been tremendous and serves as an outstanding example of the quality companies that are created and thrive in our great state. I wish you continued success and prosperity well into the future. I have used this system in England. Prior to that we drank Aquathin bottled water for two years. During that time, I have become a believer that we are what we ingest!. I have an autistic son and two daughters who have been very healthy over the past six years. I dont believe that Aquathin purified water is a cure for autism, but I do think if we keep our bodies healthy, then we can focus more energy on overcoming our disabilities / difficulties in life. Matthew is now mainstreamed in the 5th grade, and the last term he receive five As and one B! We use the Aquathin water for drinking, preparing / washing foods, and for cooking. I cant speak highly enough of it, and I strongly recommend that everyone who cares about their health use the Aquathin method of water purification. As a complete turnkey skincare manufacturer, Integrated Process Solutions (Authorized Aquathin Dealer), offered us a complete system that gives us the best quality water and storage we could find. We manufacture cosmetics for some of the largest companies in the world. Since installing and running the Aquathin 1200 GPD Reverse Osmosis System for our cosmetics company, we been extremely pleased to date. The Aquathin system in combination with the balance of plant that your company provided has kept us in compliance and we have had not recalls since. Please accept my congratulations on your recent ISO9001 Reassessment Audit. As your auditor and quality professional with more than 35 years working in the quality field, I can honestly say, without reservation, that your organization was one of the better organizations that I have audited. The high level of commitment of quality and service to your distributors as well as the enthusiasm displayed throughout the organization was clearly evident during this audit. The highly effective leadership combined with the competent well qualified employees certainly contributes to the success of your organization. Alfred, you and your team are to be commended on taking a leadership role in the manufacture, design and delivery of water purification systems. Jack Doherty, President, National Resource Center for Business, Inc.